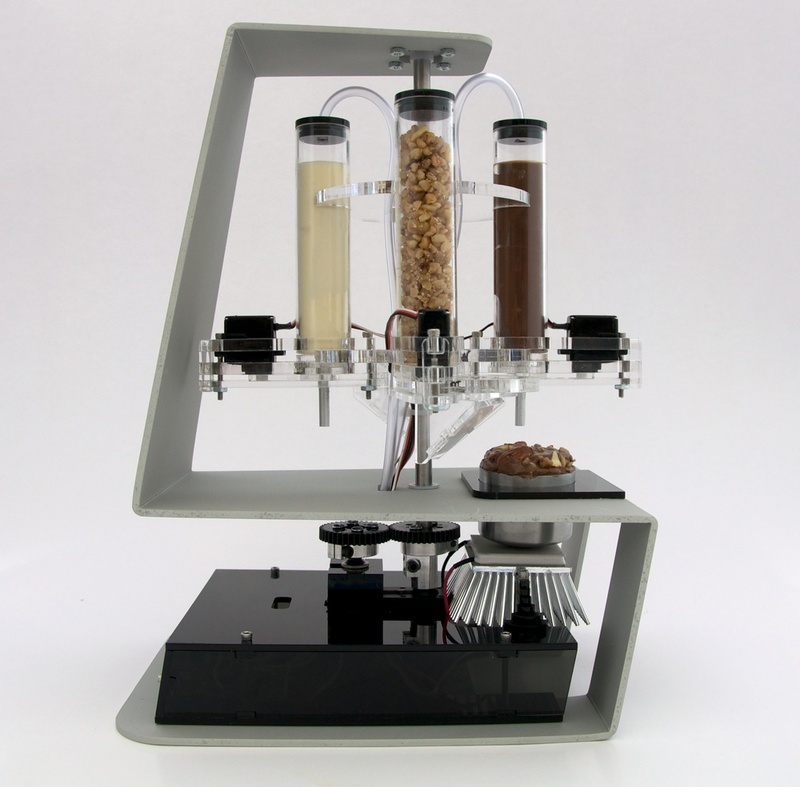 The Digital Chocolatier is a prototype for a machine that allows users to quickly design, assemble and taste different chocolate candies. This machine is composed of three primary elements: a carousel of ingredients, a thermoelectric deposition cup and a user interface. Through a graphical user interface, users can select and combine the ingredients housed in the different carousel containers to create customized candies. 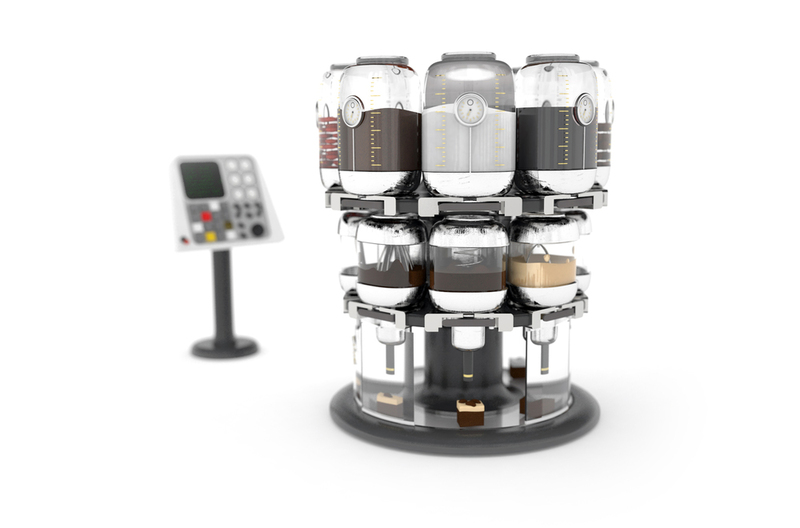 The carousel rotates to extrude these ingredients into the thermoelectric cup that rapidly cools and hardens the chocolate, making it ready for consumption. 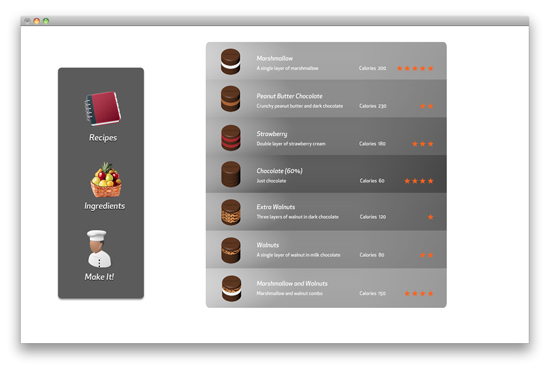 The interface also makes it possible to save and rate favorite recipes for later use. 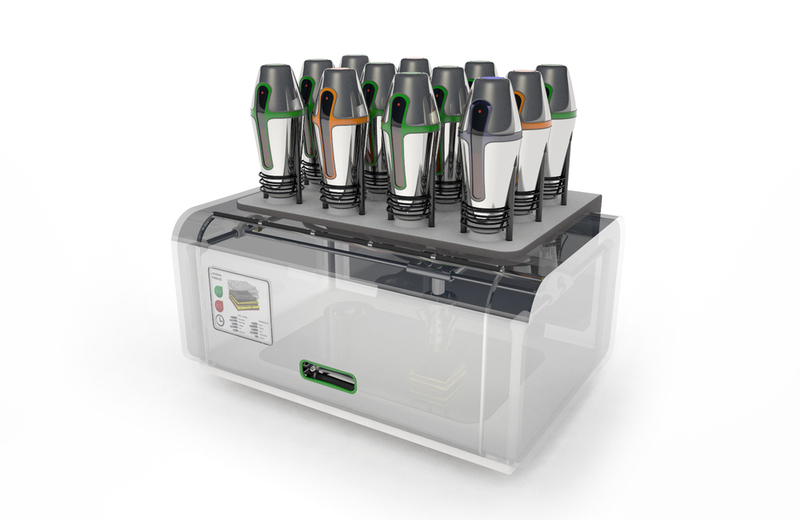 The toolhead holds an array of interchangeable manipulation devices, such as a drill bits, mineral and spices injection syringes, and a lower power laser diode, which can programmatically cut, cook and spice the food held by the arm. The underlying bed houses a heating plate which can heat and cook the food while the arm can apply mechanical transformations, such as compressions, elongations, and torsion, as well as control the location of the food underneath the toolhead. These transformation processes allow cooks to exert highly localized and repeatable food manipulations that would be impossible to achieve through traditional cooking methods. The machine’s interface is designed to allow users to easily and rapidly experiment with different ingredient combinations. As ingredients move from the top to lower layers, they can be combined in precisely controlled amounts, crushed and mixed to different degrees, and eventually be extruded to compile food samples made of discrete layers with varying thicknesses. The large range of possible combinations allows chefs to quickly design, produce and evaluate (by tasting) several ingredient combinations. 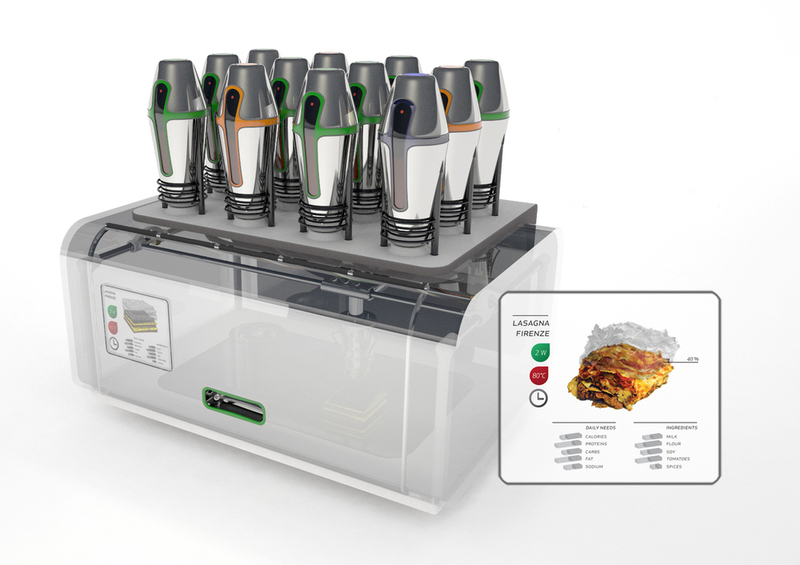 The final digital recipes can eventually be saved, shared with other machines or users, or be simply retrieved by the same machine for the future preparation of a meal. Far from simply bringing the production of processed food to the home, the Digital Gastronomy machines described here attempt to use the most advanced food technologies and techniques to retain the freshness of ingredients, increase the potential for personal creative expression and develop a new and tighter connection between food production and our digital lives. We believe these technologies cannot only expand the palette available to cooks today, but can also do it in a networked, collaborative and accessible fashion, akin to the digital design and fabrication revolution that is well under way in industrial design and architecture. Concept designs developed in collaboration with Amit Zoran. Prototypes developed with the assistance of Zachary Nelson, Josh Ramos and Varun Perumal.